Our dentists understand that dental emergencies never happen at a convenient time. Don’t let a broken tooth, tooth pain, infection, or trauma stop you from contacting our team of emergency dental professionals. Give us a call today. Emergency Dental Services You Can Count On. Whether you’re a new patient or an existing patient, Charlotte Progressive Dentistry is always here for you when you have a dental emergency. 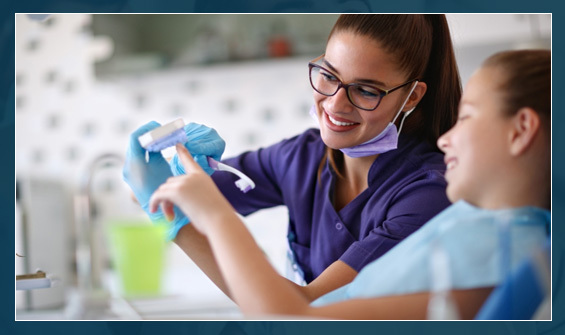 Our team of trained and licensed dental professionals is ready and willing to help you during dental emergencies, like chipping a tooth, lost restoration, trauma, gum pain, swelling, and infection. Don’t wait until it’s too late to have an emergency dental exam. Call our team or visit our dental office today. Do your dental problems involve an extraction? At Charlotte Progressive Dentistry, we make every effort to save your natural teeth. It’s usually the best solution for your health! In some cases, however, removing a problem tooth may be the only option when it comes to your health and comfort. You can feel confident that our dentists, Dr. Gregory Camp and Dr. Susana Junco, will take excellent care of you every step of the way. When you need an extraction, you will likely have a number of questions about your options and whether an extraction is truly the only option. We will review your condition with you and provide every treatment option so you can make a good decision regarding your oral health. Everything we do at our Charlotte dental office is with patient comfort, convenience, and the best quality care in mind. We know that patients like to stay where they know the dental staff that is caring for them. That is why we offer extraction services right here in our office without the need for a referral, in most cases. 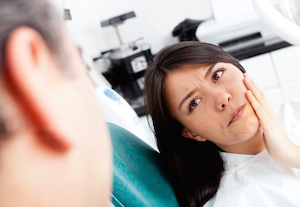 We also know that patients sometimes feel anxious about having a tooth removed. We completely understand and will always make sure you are comfortable with every procedure you have with us. We encourage communication and will ask you to tell us if something doesn’t feel right so that we can make the necessary adjustments. 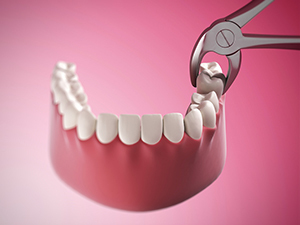 Whether it is a painful wisdom tooth that is causing trouble with your bite or a tooth that has had deep decay or trauma, we will gently extract your tooth and provide stitches, if necessary. Our dentists will go over proper aftercare so that you can heal properly with improved oral health. Aside from wisdom teeth, you will probably want some type of tooth replacement to protect your health and the appearance of your smile. We can discuss all your options so that you can make a decision that meets your goals and your lifestyle. For some patients, that might mean a dental implant and others may choose a fixed dental bridge. If you have multiple missing teeth, you may choose to have a denture. We can provide everything you need right here under one roof. Tooth replacement is about more than looks. When you lose a tooth, the adjacent and opposing teeth begin to shift. This can cause a negative impact on your bite, which can result in more damage. Additionally, tooth loss means bone loss. Because your teeth and bone have a dependent relationship, your jaw bone may begin to resorb, resulting in additional tooth loss – something most of us would like to avoid! We will offer advice about what might work best for your unique health needs and help you make a decision that will keep you smiling for a lifetime. If you are experiencing dental pain or have been told you need an extraction, call us to schedule an evaluation. An x-ray and exam will help us determine the best course of action to help you feel comfortable again.